I really like the current trend for publishers to re-issue some of their classic texts: there’s Text Classics with dozens to choose from; UQP Modern Classics – only four so far but all of them are essential reading; Oxford World’s Classics – source of most of the Zola novels I’ve been reading but there are heaps more to choose from; Popular Penguins including classic crime; and now the Faber Modern Classics series, with ten titles released in April and a further six to come in June. With crisp new cover designs and nice paper, these are going to look good on the shelf and at $12.99 RRP they are inexpensive enough to buy the whole set. 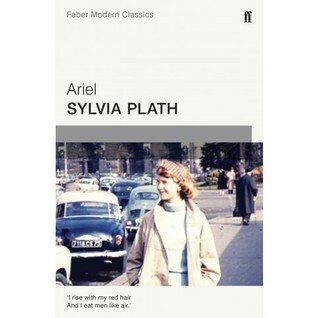 Although I read poetry, I don’t usually write about it here because poetry reviews are difficult to do, but Sylvia Plath’s 1965 collection Ariel was the first of the Faber classics that I picked up to read. I was having a difficult day, and I needed something really absorbing to take my mind off things. The very first poem, ‘Morning Song’ is such a remarkable tribute to the universal experience of motherhood, it brought back memories from many years ago. But this is Plath, a tortured soul, so as well as confessing the ambivalence of mothering, she also writes bitterly about death, and suicide, and anger. There is a surreal sense of menace and dislocation in her allusions to nature (trees, rabbits, poppies) and it’s dark reading. There isn’t a foreword or introduction in this small collection (it’s only 81 pages) so I had to consult Wikipedia to see whether this edition is the complete edition. It is: it includes the four poems notoriously edited out of the posthumous collection by Plath’s husband Ted Hughes. Reams have been written about whether he was justified or not; whether he wanted to protect her reputation or his own; whether he wanted to shield the children from her intensely personal revelations; whether he wanted to edit the collection to be the best it could be etc. Now, of course, we can read the poems and hear the poet’s own voice to help decide for ourselves. When you read the excised four: ‘Lady Lazarus’, ‘Tulips’, ‘Daddy’ and ‘The Munich Mannequins’ you can guess at the reasons for Hughes’ interference. The so-called Holocaust poems ‘Lady Lazarus’ (about her unwanted rebirths after unsuccessful suicide attempts) and ‘Daddy’ (which seems like an exorcism expelling him from her life) are difficult to interpret but raise questions about the appropriateness of using Holocaust imagery; while ‘Tulips’ (where a gift of flowers interrupts the calm of her time in hospital) and ‘The Munich Mannequins’ (which is famous for its opening line Perfection is terrible, it cannot have children) seem to annihilate the female self, but also expose imperfections in Plath’s marriage. The publication of the collection even it its edited form two years after her suicide must have been sobering indeed. If you, or anyone you know is struggling with mental health issues, get help. In Australia, Beyond Blue will help you find the support you need. Well done Lisa! Nice to see a poetry review. I guess we’ll never know the full truth about Ted Hughes and Sylvia Plath, but it is interesting to contemplate. It’s great that this reissue has restored Plath’s original conception. I really want to take some time and read Sylvia Plath carefully. I really like the limited amount of verse that I have read by her. Your post has whetted my appetite to get started. I’ve read her novel The Bell Jar. I was impressed. Funnily enough I read this a few weeks ago. It seemed ok but whenever I try to read poetry my mind wanders and I can’t concentrate on the text. I don’t really know why, especially as I like quite poetic prose. Ah, I think poetry is meant to do that. The art of poetry, it seems to me, is to allude to things with very few, well-chosen words. Words that are meant to be catalysts, to make your mind skitter off somewhere new.